Port Antonio vacations will have you exploring the staggering beauty of secluded coves, lush undergrowth, swimming in the warm turquoise seas with the beautiful Blue Mountains in its background. 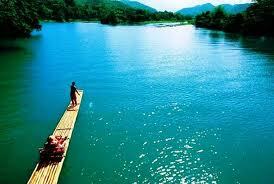 Explore on foot, on horseback, bike or raft and see the beauty of Port Antonio. It is the wettest area with thick, lush undergrowth and ruggedly beautiful scenery for you to enjoy. Rock pool swimming, river rafting and fishing are water sports you'll come to love the most about your Port Antonio vacations. Back in the 1950s and 60s, Port Antonio vacations were mostly popular among Hollywood celebrities and other famous people. Port Antonio, also known as the banana capital of the world, is the best place to sight-see the naturally endowed beauty of Jamaica. The majestic mountain ranges of John Crow and Blue Mountains are ideal for hiking and other adventures activities. Simple, isolated and a little different than beach vacation destinations you will mostly find in Jamaica, the town of Port Antonio has a lot to offer you. If you are traveling with kids or are looking for something different in Jamaica, this town is definitely for you. 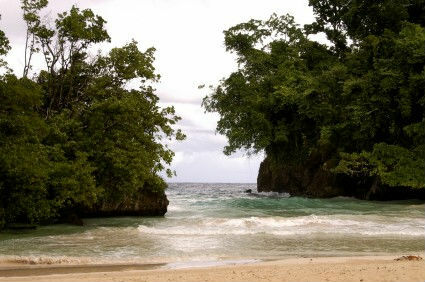 Photographers and writers love the wondrous beauty and serenity of Port Antonio. Located on the northeastern coast of the most colorful Caribbean Island, the town of Port Antonio still preserves marks of old mansions built in the mid-twentieth century. You will also find remains of twin harbored port here, and also once known for the largest plantation of bananas in the world. If you already been to the urbanizing ares of Jamaica, like Kingston, or if you are looking for a less crowded travel destination, you should plan for Port Antonio vacations. For adventure lovers, the tranquil waters of the Caribbean with the pristine beaches are idyllic for kayaking, scuba diving and sailing. 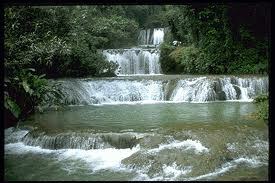 Reach Falls is another area of picturesque beauty you must visit on your trip to Port Antonio. You'll be wanting a peaceful spot to enjoy laying back or to experience a dip in these refreshing water. Frenchman's Cove beach and its lounges offer a spectacular place to relax or spend quality time with your kids or grandchildren. You can also enjoy refreshing chilled drinks and appetizing snacks here. Frenchman's Cove is known for its blue hole and rafting. Fox Caves and Scatter Falls are two of the best wonders of Port Antonio. You get here by crossing the river Rio Grande on a bamboo raft, all the while enjoying the surrounding scenery during your soothing ride. If you are looking to do a little hiking and complete momentous day on this trip, do not miss this place. Somerset Falls a canyon in Daniels River, is another amazingly beautiful spot ready to captivate you. Renowned for the lovely back-drop consisting of lush plantation, wild flowers and natural magnificence. 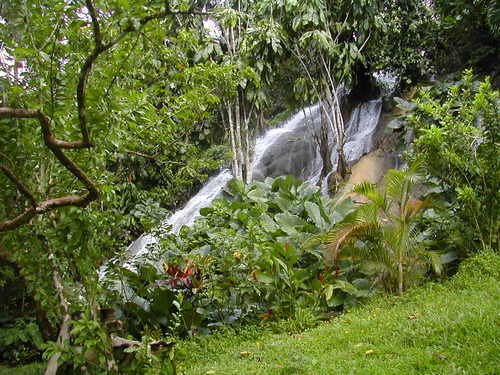 Somerset Falls is a great place to visit on your Port Antonio vacations. It is a lovely place to enjoy your picnic amongst lush greenery, waterfalls and wild geese. Vibrant clubs and night life awaits you here to serve your every needs and are a treat for couples and young vacationers. Shopping enthusiasts can hang around at the central market with friends or family members. 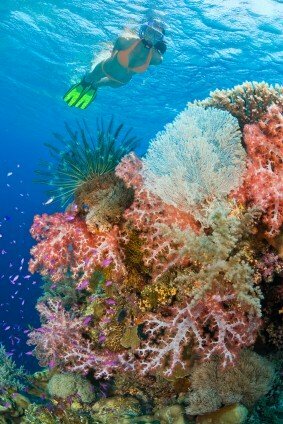 Is one of the top favorite attractions for you our guest and locals to visit in Jamaica. If you want surf boarding at its best, do not miss this amazing experience at Boston's Beach. All in all Port Antonio is a fun place to visit if you are on the lookout for some adventure while on your Jamaican vacation. It has everything to push your adrenaline life rafting through rapids or zip-lines. Great for you for letting go and laying back and enjoying the natural beauty and staggering ruggedly scenery, or a hike through the Blue Mountains, kayaking or rafting through undisturbed and exotic parts of Jamaica. Port Antonio greets you, its leisure travelers, with an awe-inspiring splendor, scenery that is absolutely breathtaking and an experience out of this world.